Lower cost car hire for Comiso Airport, Sicily Compare low cost SUV, MPV, estate and minivan rental rates at Vincenzo Magliocco Airport (CIY).. Compare lower prices for car rental at Comiso Airport (CIY), also known as Vincenzo Magliocco Airport. Great savings on all types of vehicles from the Fiat 500 to SUV & larger seven, nine seat minivans. The prices you will see include airport tax, breakdown cover, third party liability insurance, theft protection, collision damage waiver and unlimited mileage. Choose your next holiday auto from:- Avis, Dollar, Europcar, Locauto, Maggiore, Sixt and Target Rent. Free cancellation upto 48 hours before collection and no amendment fees, although subject to dates, times and car price changes. Locauto include one in their prices, as well as having rates that include Zero Excess. If want included in the pre-paid price, look for Locauto and Dollar specials. Take your pick from luxury, economy cars or minivans to seat larger groups. If you need an MPV, we can offer various, spacious MPV minivans. Try the Kia Sedona, or the Fiat Doblo.If after saving on the fuel bill, book a smaller hire car, such as the Fiat 500 or the Smart For Four. If need a large boot for the golf clubs, we would recommend booking a larger estate/wagon, such as the Volvo V50 Estate, or maybe hire a SUV, like the Kia Sportage. For larger groups in need of 9 seats, we have the Fiat Ducato, Mercedes Vito or the Fiat Ulysee. Compare car hire in Vincenzo Magliocco Airport. Save on saloons & sedans rental costs. 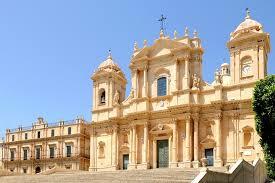 Car rental at airports on Sicily, made easy and cheaper. Cheaper book and rent a car here, than go direct. Sicily is the largest Mediterranean island. It is a cultural hotpot with influences from Spain, North Africa, Greece and Italy. The Roman ruins are on equal to those found in Italy. 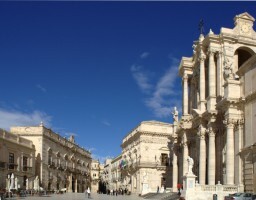 Like France and Italy, Sicily is a paradise for food and wine lovers. A large part of Sicily is covered in vineyards and many are open to the public. 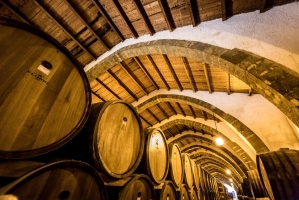 Sicilian wines have a reputation for being full bodied and are excellent with cheeses, such as Nero d'Avola. Sweet wines are also in abundance. Again these can be quite high in alcohol, so do appoint a driver who does not drink! -Ski on a volcano! 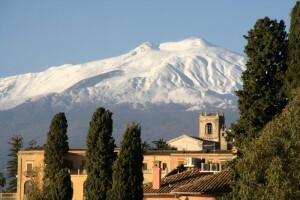 From December until March, you can ski on Mount Etna. We suggest you check with the locals first, to ensure any red runs are not lava runs! Drive from Palermo Airport, or go by train to Erice, a hilltop town with great views and a charming old town centre. However, bring some warm clothing as it can get chilly. 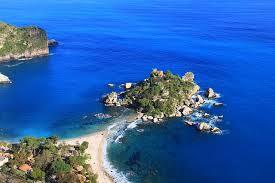 Also, you take your hire car on the ferry to the island of Messina, which is located about145 miles east of Palermo. No trip to Sicily is complete without visiting Catania. Fly into Catania Airport and after checking into your hotel, head off to see Catania's imposing, unpredictable neighbour, the volcano of Mount Etna. Whilst in Catania, visit San Agata Alla Fornace, which is where St Agatha was burned alive by the Romans. She was subsequently honoured by being adopted as the patron saint of Catania. Flying in to Trapani Airport is a popular, cheaper choice. Book your vehicle early for the summer, especially those MPV minivans. Please be aware that the Sicilian village streets are very narrow. So do think carefully before booking a hire car. The streets, coupled with the mountainous meandering roads, may mean a small, but highly powered rental, car is what is needed.